Irwin Colorado is located roughly 10 miles west of Crested Butte, just off Kebler Pass (Gunnison County road 12). This mining town, founded in 1880, was largely abandoned but the homesites remained and many of those lots now have homes on them. 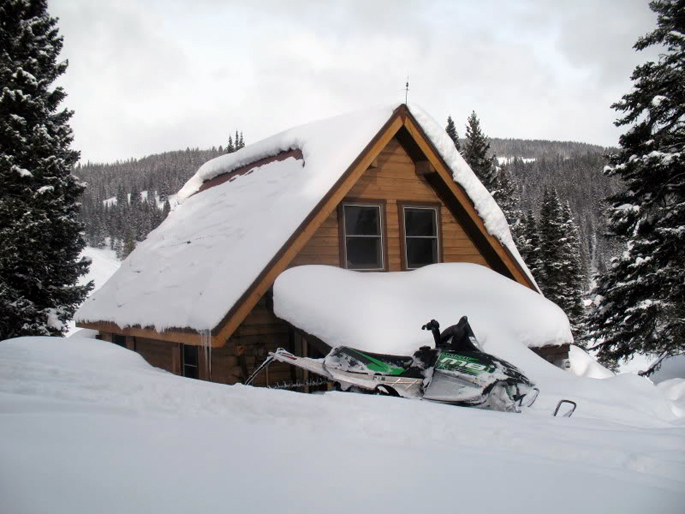 Kebler Pass is only open in the summer months, meaning homes in Irwin require the use of a snowmobile for year round use. The Irwin area is quite possibly the snowiest area in Colorado. Storms slam into the area from every direction, and the nearby Irwin/Eleven catskiing operation boasts an average annual snowfall of 600″. If you’re looking for the perfect place for a backcountry skiing cabin, Irwin should be at the top of your list. Hiking trails and wildflowers surround the area during the summer, making this a great summer destination as well. Best of all, nearby Lake Irwin is a summertime mecca for fishing, canoeing and other watersports. Buyers interested in the Irwin area should take note that lending standards on seasonal properties are different than homes with year round access. Local lenders are recommended. Homes here are off the grid, and often powered by solar. Building in this area is subject to Gunnison County Land Use regulations as well as Coal Creek Watershed rules. To learn more about buying or selling a home in the Irwin area, feel free to contact me anytime. I do have a snowmobile, and am therefore happy to assist either buyers or sellers in Irwin at any time of year. Irwin Colorado real estate information including maps, descriptions, prices, and current properties for sale. Get detailed info on Crested Butte neighborhoods.